Lean Healthcare is recognised for its effectiveness as much in the reduction of workload as of waste and as a consequence, costs within healthcare facilities. 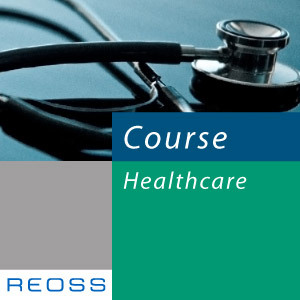 This course enables healthcare centre staff to acquire expertise which allows them to reduce the delays involved in the provision of care such as time spent in the waiting room before being taken in charge by a doctor or a nurse and to improve the efficiency of the various processes while maximising the quality of services offered. At the end of this course, participants will understand the basic principles of Lean thinking so that they are able to undertake continuous-improvement projects both actively and effectively inn their own healthcare Center. The main challenge of Lean Healthcare Essentials training is to bring to your attention the tools of Lean Healthcare enabling general improvement of the services to patients. •	Minimise waiting delays and maximise access to care in order to make the patient's stay within your facility more agreeable. •	Optimise resource utilisation in order to improve the efficiency of the different processes and minimise costs. •	Develop tools to facilitate strategic decision making and problem solving in order to optimise the cohesion between services. •	Improve the quality of life and provide a safer environment for both patients and medical personnel. •	What is Lean thinking? •	Definition of 6S methodology in the field of health: Why do you need it? This training, which takes place within your organisation, is developed according to its specific traits in order to respond precisely to your own issues and expectations. A concrete example from your organisation will be discussed during the training.